I read this on a few other blogs and thought it was a great idea for a post! I’d love to know what everyone else’s makeup memories are as well! I have been thinking about this one a lot and I truly can’t remember. 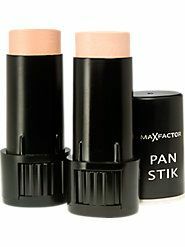 I remember that when I came to the UK in 1998, I definitely bought the ubiquitous Heather Shimmer lipstick which was the best lipstick of the time but I definitely had purchased makeup in my teens and the main things that stood out are Charlie Red perfume, Maybelline Great Lash and Revlon Panstik. I was a big fan of the heavy coverage makeup – no idea why given my skin was great! Perhaps it was my goth leanings! This was the best thing I’ve ever purchased and I’m still in love it with it now and this is Mac Bronze – the most perfect eyeshadow in the world ever. 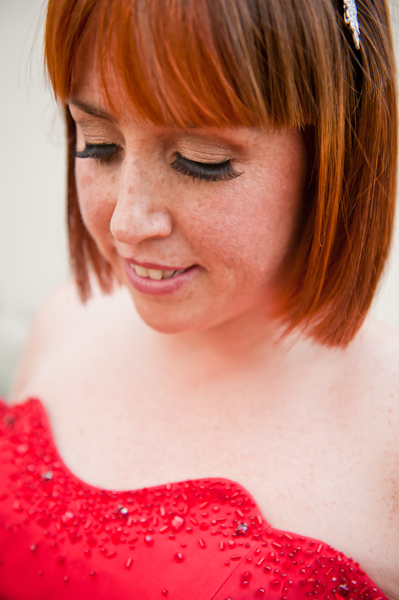 And in fact, it’s so perfect that I wore it as my wedding eyeshadow. It brings out and highlights blue eyes and blends nicely with most skin tones. It’s got a very slight shimmer to it so suits all ages, it lasts very well and is generally, the most lovely eyeshadow ever! Given my massive love of make-up, it took me a long time to get to the stage of buying expensive make-up and skin care. I was (and still am) a big fan of the cheaper make-up brands found in Boots, Superdrug and back in SA, Clicks! 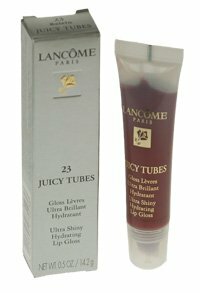 I think the first expensive thing I ever bought was the summer I fell in love with a Lancome Juicy Tube. I bought Raisin and it was the perfect glossy, shiny, sticky sheer deep red. I loved it. I wore it nearly every day and remember drunkenly applying it regularly on every night out. Unfortunately,it started me off with my nigh on total obsession with lip products of all sorts and now I regularly have at least 17 lip colours & products in my handbag at any one time. I miss it though. I might have to buy another one now! I’m not a huge fan of a ‘make-over’ in a department store when some make up artist/counter person tries out a load of dull things on you – they nearly always seem to use things that look ‘natural’ and for me, that’s just too dull. Where is the colour? I do favourably remember a trip to Space NK however and having the most amazing eye makeup done where she used a royal blue eyeliner to create the most perfect feline flicks around my eyes. I can’t remember when I realised that eyeshadow went on so much better with a proper brush rather than one of those stupid little foam applicators. And then I realised that nearly all make up goes on better with a brush, even foundation. The first time I purchased something expensive was when I bought Estee Lauder Idealist after trying it in a sample from a magazine (who knew, they do actually work!). It was over £30 and I was worried I wouldn’t like it but I used the entire bottle and have since repurchased it regularly. It’s a really great product. Basically, hahahahaha. Imagine all the most awful clichés about fake tan and you have it in a nutshell. Streaks, too dark, white feet, stained palms, fading out to patchy and basically, totally grim. It hasn’t really gotten better over time. Share your make-up memories with me!